The Apostolic Penitentiary has granted, by mandate of H.H. 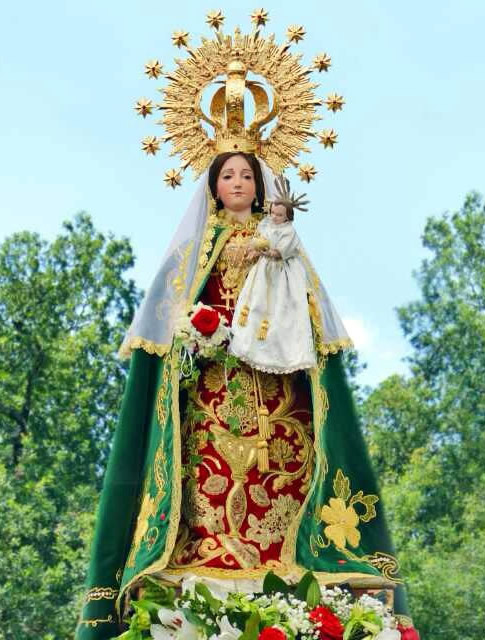 Pope Francis, to the Shrine of Our Lady of O Corpiño a Jubilee on the occasion of the Pontifical Coronation of its owner. The Marian Jubilee Year or the Holy Marian Year is the space of time which the Holy See rewards a very special grace to the faithful who come to the temple. It is a great religious event and it becomes a year of remission of sins and their sorrows; It is a time for reconciliation, conversion and the practice of mercy, justice and fraternity, as well as fostering a renewal of the desire to serve God in joy and peace with the rest of the brothers. The Jubilee Marian Holy Year will be held from June 24, 2017 to June 24, 2018. Plenary Indulgence can be achieved by all Christian faithful who truly repent, under the usual conditions: sacramental confession, Eucharistic communion, pray for the intentions of the Supreme Pontiff, go to the Sanctuary of O Corpiño and before the venerated image participate in some sacred act or exercise of Marian piety, and pray and meditate for a time before that image.